Photoshop is an amazing picture editing software. This software is one of the most widely used software among the audience. People love to use Photoshop for editing and creating pictures. Although it is difficult to use but in this digital age it has become a necessity for graphic designers, For their survival in today competition they need amazing editing skills and a software like Photoshop. We must know this thing that every one cannot master in everything, similarly there are some people who have great expertise in Photoshop and they are some people who don’t know a thing about Photoshop but still have to use it. S the people who know Photoshop well have created Photoshop tutorials for these people so that they can also learn how to use Photoshop. If you are a regular visitor of smashinghub.com than you must know that we monthly bring you the collection of amazing Photoshop tutorials. So, this month i have collected 22 Photoshop tutorials of july 2012 which i found the best, i hope so you will like them. And i also hope that they might help you in near future. Let’s have a look at them, do give feed back and Enjoy! 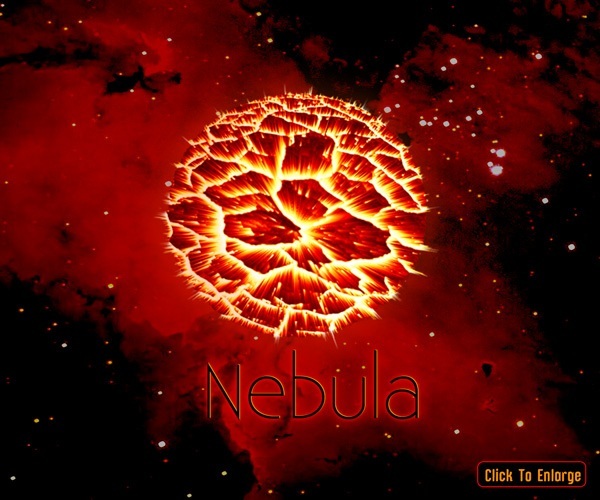 In this amazing tutorial the writer will explain you how to create a burst in the Nebula Effect in Photoshop by using pixel coordinate. The writer will also explain how to use wind filter in a very unique manner. In the following tutorial the writer explains to you that how you can create an amazing imaginative composition by keeping your layers separate and how to tidy up your drawing and fill up magic in your picture. Text animation or variations in text designing are really important and in the following tutorial the writer tries to explain you that how you can create a Retro chrome automobile emblem in Photoshop. This tutorial is really an easy one and a must try! Moving art is really unique and is very interesting. In the following tutorial the writer magnificently explains that how to create a simple equalizer animation in Photoshop. I loved this tutorial and i am sure you will love it as well, because it is very easy an helpful. In this tutorial you will learn that how you can create a surreal dark city with Meteorite fall scene in Photoshop. This is an intermediate level Photoshop tutorial and some steps can be a bit difficult but obviously you can try! This tutorial is really interesting because writer works with different techniques like cloud wrapping, hair drawing and some other photo manipulation techniques and explains that how you can create a surreal magical power unleashed scene in Photoshop. In the following tutorial the writer explains you that how to create a turtle swimming inside an ocean by using different photo effects. In the following tutorial writer explains you that how you can manipulate fire texture. the writer also introduces some basic techniques of retouching photos which is totally awesome! This tutorial is very interesting and writer explains to you that how you can create smoke around the text by using the smudge tool. The snow white evil queen is really famous and by using the digital painting techniques of Photoshop the writer tries to explain that how you can create this evil queen very easily! Let’s get started! The tutorial explains you how to create amazing cosmic lighting effects in Photoshop Cs6 in a very easy way. 3D animation, creation is always an enjoyable thing to do. In this tutorial you will learn how to create a Glossy, Plastic 3d text in Photoshop Cs5, So! lets get started. This Photoshop tutorial will show you how to create this surreal scene where a boy is going far from his toys. This tutorial also will show you how to blend images seamlessly and work with lighting and shadows. The following tutorial is really a unique piece of art, in this tutorial the writer combines hand-drawn linework with digital colour and found textures and the resulting image is really cool. Although this tutorial is a bit difficult but I think it is a must try! In this tutorial writer tries to solve the problem that many people face while working with fire effects very easily. If you have problem with using fire effects in Photoshop than this tutorial is the solution! In this tutorial you will learn how to create a cold blue photo and how to blend different photos along with much more! Collage composition is always so amazing, i always love creating different collage. In this tutorial the writer used different blending and com-positional techniques to create an amazing and colorful collage just like shown in the picture below. This tutorial is an intermediate level tutorial but not that much difficult, by using different photo manipulation techniques writer created an imaginary scene showing complex falling angel. In the following tutorial writer plays with amazing colorful effects and explains to the users that how you can play with the gradient tool in Photoshop and create a totally new, amazing and colorful picture. The tutorial writer uses some custom Photoshop brushes and image adjustments to create this mesmerizing scene “The storm is Approaching” artwork in Photoshop. The writer also uses some photo manipulation/combination techniques. This tutorial is really helpful because the writer demonstrates hoe you can use some basic filters and brushes to create stencil and spray effect in your pictures. I am sure this tutorial will help you in near future. In this tutorial You’ll learn how to combine different stock photos to create this scene then apply a cold color tone to it. It is really and easy and very helpful tutorial and i am sure you will love it. Impressive tutorials. With Photoshop we can do so many things with images these tutorials explain it all. Thanks.